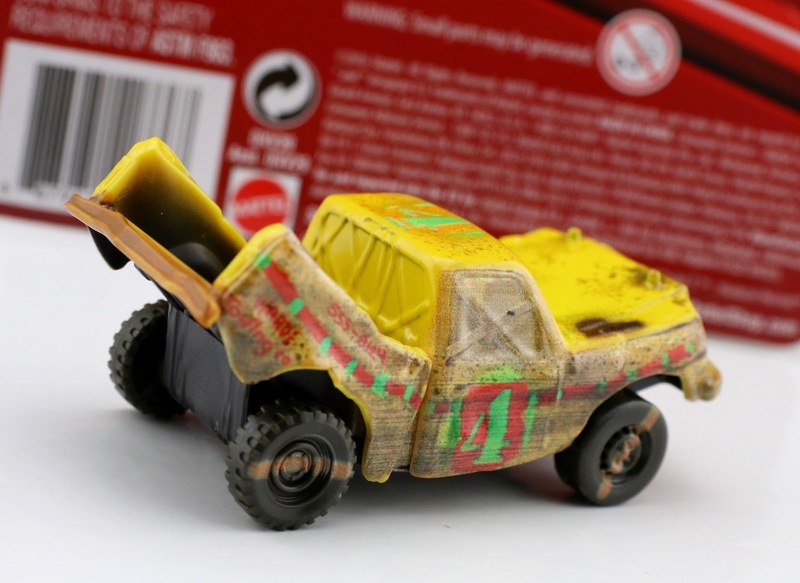 After months of searching, I finally found the Mattel Cars 3 1:55 scale diecast of one of my favorite Thunder Hollow demolition derby contenders...Taco! Yup, that's his name (or at least what he goes by while at the crazy 8 race). Just "Taco." Hilariously named and brilliantly designed, this one just appeals to me for his pure wackiness. Who came up with this? I can't say I have any other cars like this, so it feels like a real unique addition to my collection. I know this one came out months ago, but it's only just hitting my area here in CT now. I found him tonight at Target and was absolutely thrilled. I may have even said out loud, "it's about time." Once again, look at all that marvelous detail! 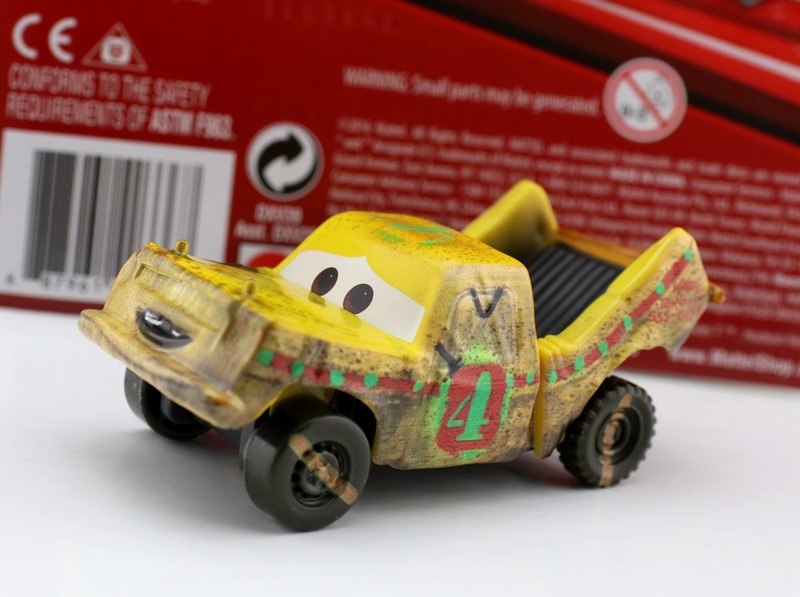 Mattel really hit it out of the park with all these demolition derby cars. Check out that grime and mud splatter! 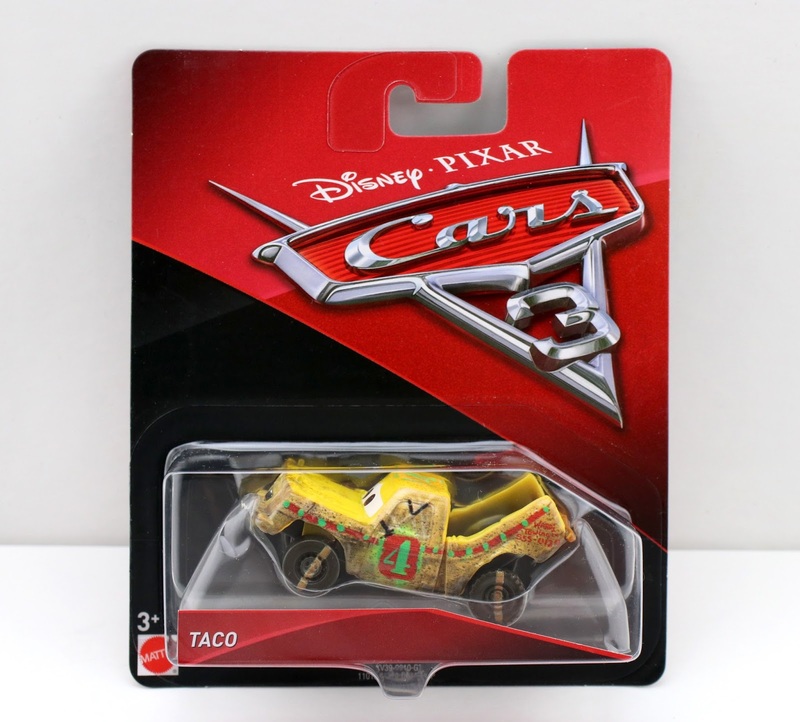 With that said, something I did want to make a note of, is that only the front portion of Taco is diecast metal. The back truck bed part is actually plastic. That's really the only slight bummer, but it's not too noticeable when it comes down to it. If you're still having trouble finding this car as well, all is not lost. If it's just showing up in my area now, there's hope for yours (especially if you're on the east coast)! Be sure to check your local Target or Walmart ASAP for availability and let me know if you have any questions. If you'd rather just pick him up online, check out current listings on eBay HERE or Amazon using the link below. Happy hunting! What are your thoughts on Taco?